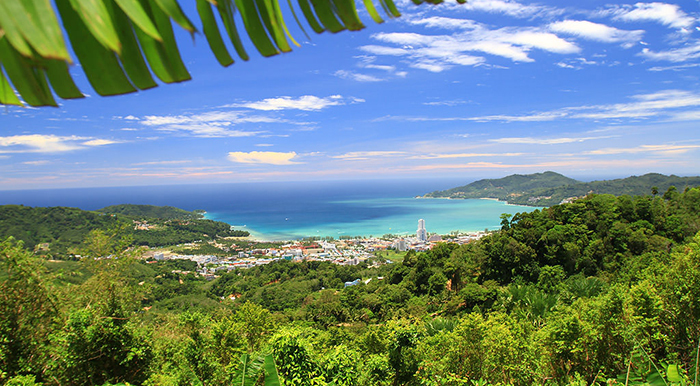 Radar Hill – the highest vantage point in Phuket – offers uninterrupted vistas. The west side of the hill looks out to Patong and the Andaman Sea, and if you walk eastwards up a small hill you’ll be well-positioned to take in vistas over Chalong Bay and Phuket Town. And the views don’t begin only when you’ve arrived at the peak. The ride up to the hilltop is a scenic one, with roads winding through villages and rubber plantations. Unlike other viewpoints across the island, Radar Hill doesn’t attract numerous travellers, so you’ll get to take in the views without having to jostle in a crowd. Just take note to park away from the weather station at the end of the road when you’ve arrived, and not to point your camera at the gates as the compound is owned by the military. Windmill Viewpoint – so called because it looks out to a rugged coastline where a striking white windmill stands – offers unobstructed views of Ya Nui beach and Koh Man Island. Up at the peak lies a parking space and sala. Bring along your own food and drinks if you’re planning to stay for long, as it’s not always that the drink vendors set up stalls at the top. This much-visited cape is Phuket’s most popular viewpoint. 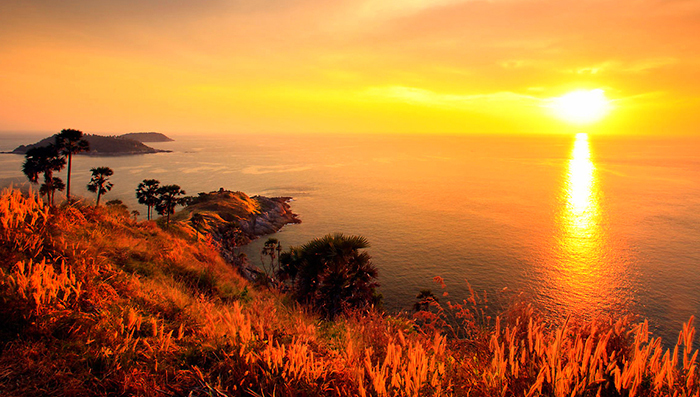 Set along the southern coasts of the island, Promthep Cape is a vantage point that draws countless of visitors each evening. Eager to catch a magical sunset show, these visitors arrive by the busloads with their cameras, all ready to click the shutter when the golden hour begins. If you’ve arrived early and aren’t daunted by the notion of a challenging trek, make a descend down to the promontory. Or visit the colourful Elephant Shrine, where you’ll set sight on myriad elephant carvings and statues encircling the shrine and compound. A visit to the Promthep lighthouse will be a fascinating experience for travellers who enjoy browsing through historical maritime artefacts, and taking in picturesque views over the eastern and southeastern coasts of Phuket and its surrounding islands. Stop by the handicrafts shop beside the carpark if you’re on the lookout for souvenirs, although like most souvenir shops in Phuket, this store offers the usual touristy fare – like shells, snacks, sarongs, beachwear and the ubiquitous “I Love Phuket” tees. Round out your evening with dinner at Promthep Cape Restaurant, a spacious, open-air venue that offers spectacular vistas out to Nai Harn beach. 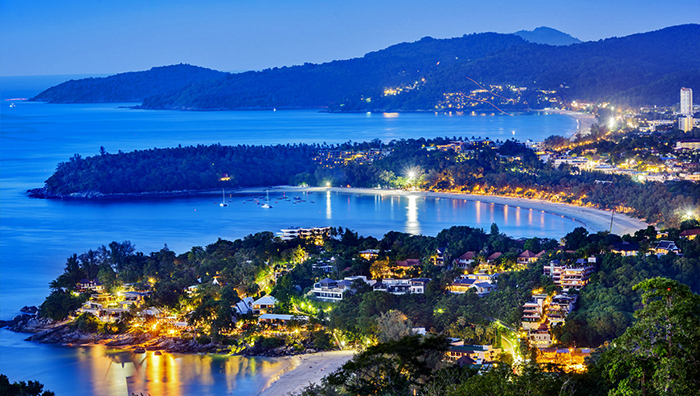 Enjoy unobstructed views across Phuket Town, and out to the Big Buddha from Khao Rang Viewpoint. 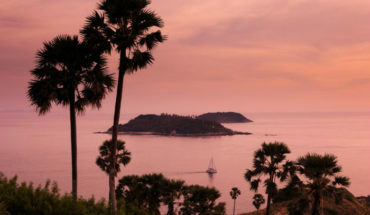 Peer into the distance, and you’ll catch sight of the rugged coastlines and verdant greenery of Phuket’s neighbouring islands. A striking pagoda extends out to a spacious viewing platform perched atop the edge of the hill. Guard rails frame the compound, and the area is enveloped by lush gardens and towering rubber trees. Serene and scenic, the viewpoint draws travellers and locals alike. 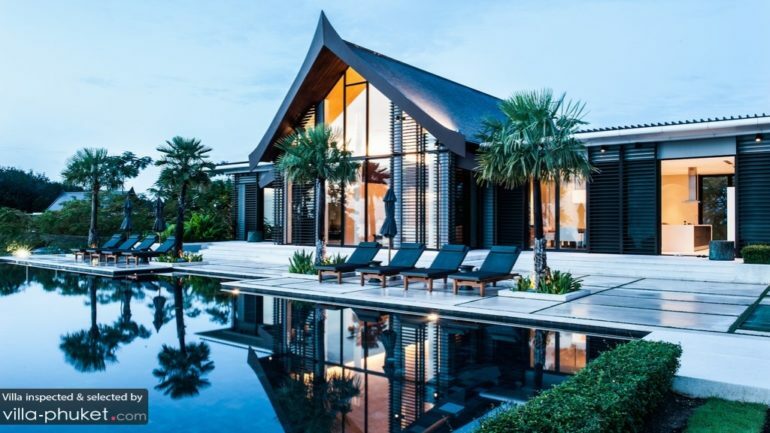 It makes a great hangout for spending a relaxing day taking in the views, and offers a refreshing change of scenery from the bustling Phuket Town. A handful of cafes are located nearby, so make a stop by for a bite or to enjoy a round of sundowners before you make the drive back down from the summit. 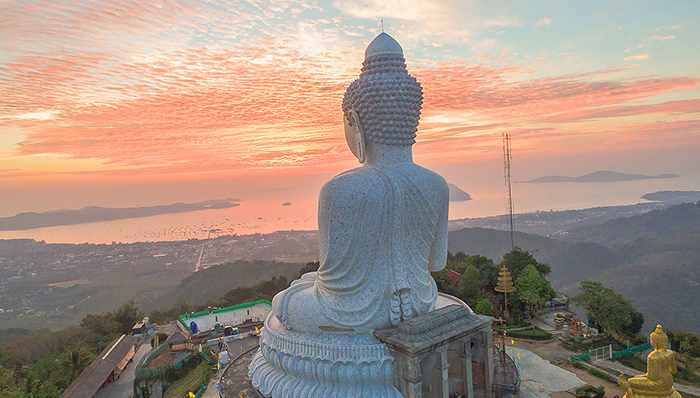 The magnificent Big Buddha is one of the island’s most significant landmarks. Standing at a height of 45 metres upon the peak of Mount Nagakerd, the striking Buddha image is easily sighted from afar. Enjoy the soothing dharma music, chiming bells, and 360-degree panoramas once you’ve arrived at the summit. This is a well-loved spot that draws numerous visitors, so expect sizable crowds at the site through the day. Round out your visit with a stop by at Nakkerd Sea View Restaurant, which offers lovely views out to the scenic environs and a relaxed ambience at affordable prices. Love enjoying Phuket’s spectacular coastal views, but hate the bustling crowds you find at popular viewpoints? Khao Kad View Tower, located at quiet Cape Panwa, is the place to go – this tranquil spot is fairly isolated, with few visitors making their way up to the peak. The hike up the stairs is a bit of challenge, but the uninterrupted panoramas from the top floor of the double-storey tower make it well worth the effort. 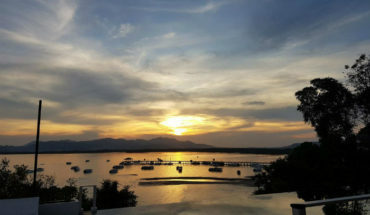 Look westwards, and you’ll take in views of Chalong Bay. 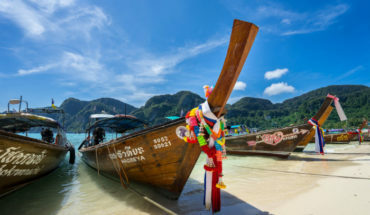 Get a bird’s eye view of Phuket Town when you gaze northwards, and set sight on the rugged coastlines of Phi Phi Island when you’re facing eastwards. After catching the mesmerising sunset show from the top of the tower, it’ll be time to grab an early dinner or a round of beers. Recommend hangouts include the Beach Bar, located along Khao Kad beach, and the quirkily named ‘Best Food Good View‘, situated just down the hill. The azure ocean, pristine shores and white surfing waves – who can resist a gorgeous coastal scenery? Offering magnificent views out to the sea and surrounding greenery, it is no wonder that Karon Viewpoint is one of the most frequented viewpoints on the island, and is often busy through the year. The viewpoint offers a parking space and spacious gazebo, and visitors may purchase snacks and drinks from the nearby vendors.